While 55-plus communities aren’t a new concept, their designs are becoming increasingly inventive. For example, developers are placing more emphasis on healthy living and nature. They are adding more and better amenities – even incorporating features such as a working farm into the community! A recent article in the Richmond Times-Dispatch discussed the latest developments in Cornerstone Homes’ Chickahominy Falls community in western Hanover, VA. This unique neighborhood will include a working farm, as well as community gardens, orchards, riverside trails and more. Everything will be woven together to celebrate healthy living, sustainability, and a deeper connection to the land. 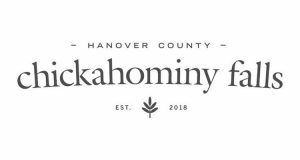 The 180-acre community backs up to the Chickahominy River off Cedar Lane and Holly Hill Road, and will feature 300 to 400 homes for people 55 and older, and an adjacent neighborhood of 30 homes with no age restrictions. Site work has begun, and the first homes are expected to be ready at the end of 2018. The farm will sit on 10 acres and be managed by a professional farmer. The farm operation will be a long-term, sustainable operation that will complement Hanover’s history as a farming community. It will be an asset for the community, with produce sold at a farmers market and/or to local restaurants with space available for special events. For more information about this unique residential community, visit cornerstonehomes.net/chickahominy-falls.